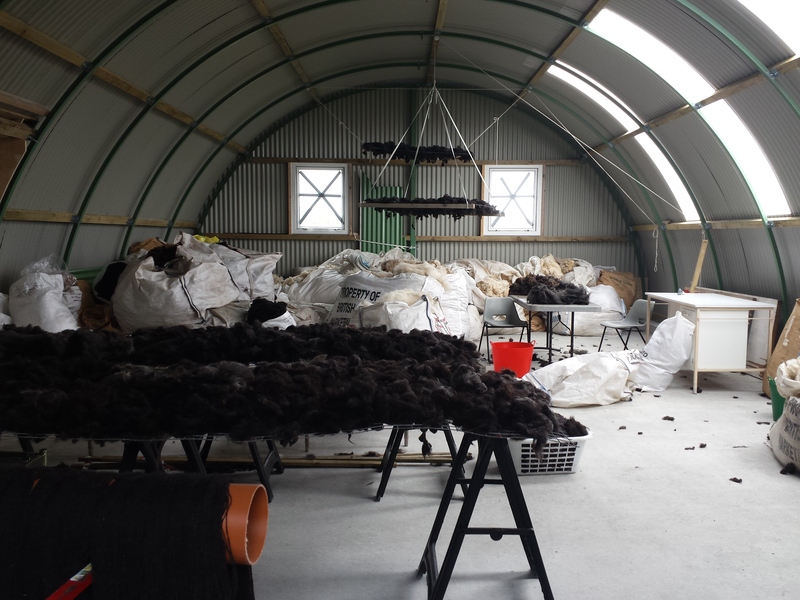 I was recently invited by Uist Wool to take part in their ‘Snàth‘ celebrations as part of the wider Hebtember event happening in September this year, which is a great honour. 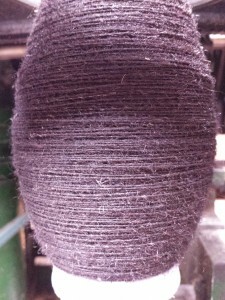 If you click on the links you will find more detailed information, but in a nutshell, Uist Wool have recently opened a mill to produce yarn from local fleeces and as part of the Hebtember event, there will be an exhibition of commissioned work featuring artisan yarns produced by Uist Wool, and created by craftspeople living in the Outer Hebrides. 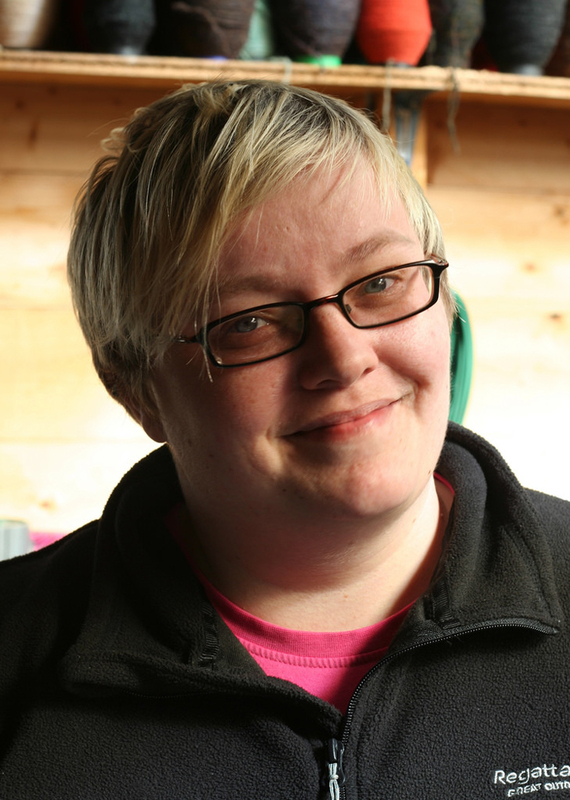 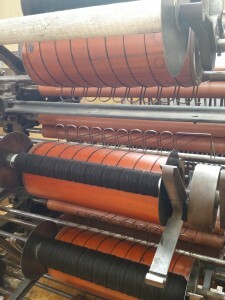 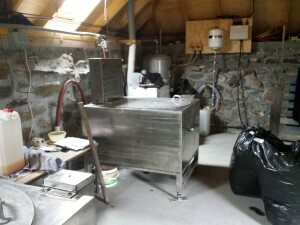 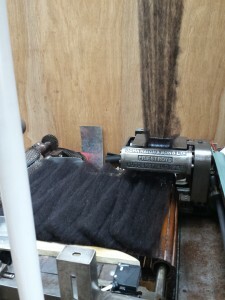 I visited Uist Wool for the first time last week, and I was very impressed with their set up. 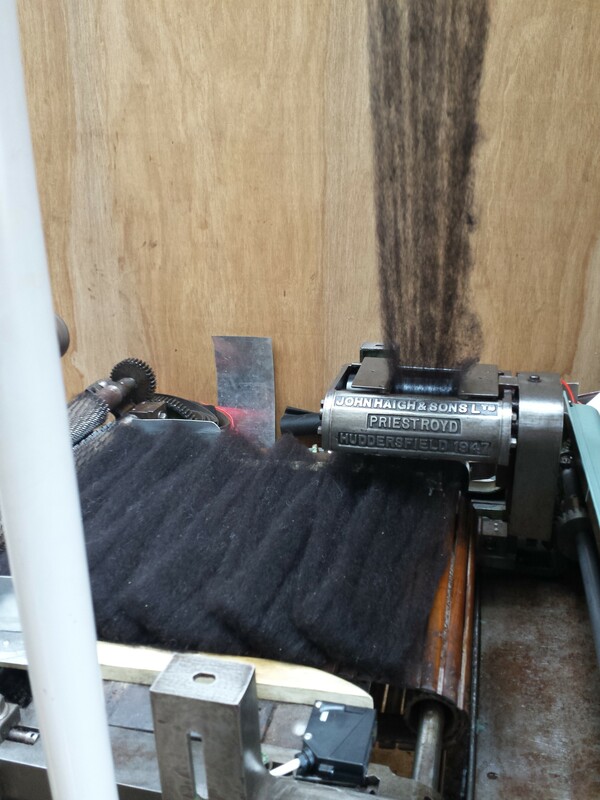 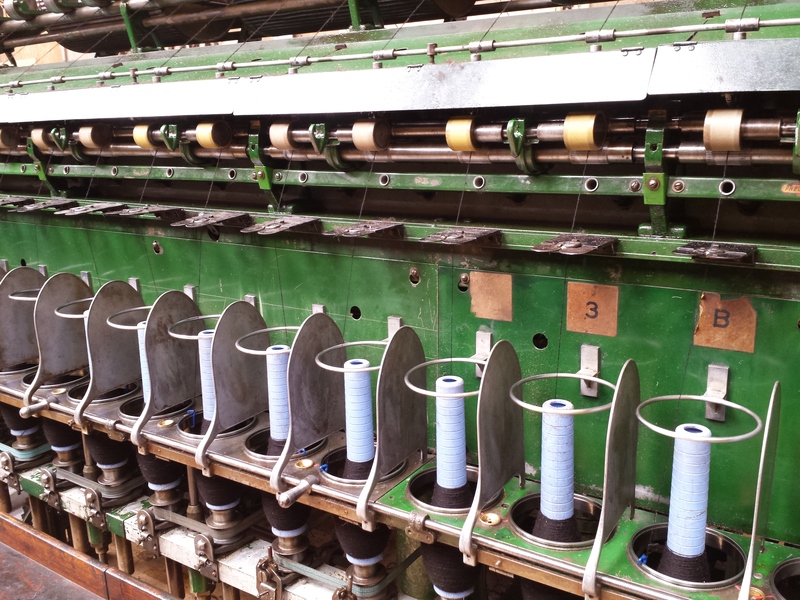 I managed to remember to take some photos, but to be honest, I was far too busy poking around, looking at their machinery and blethering! before rolling and beaming them. 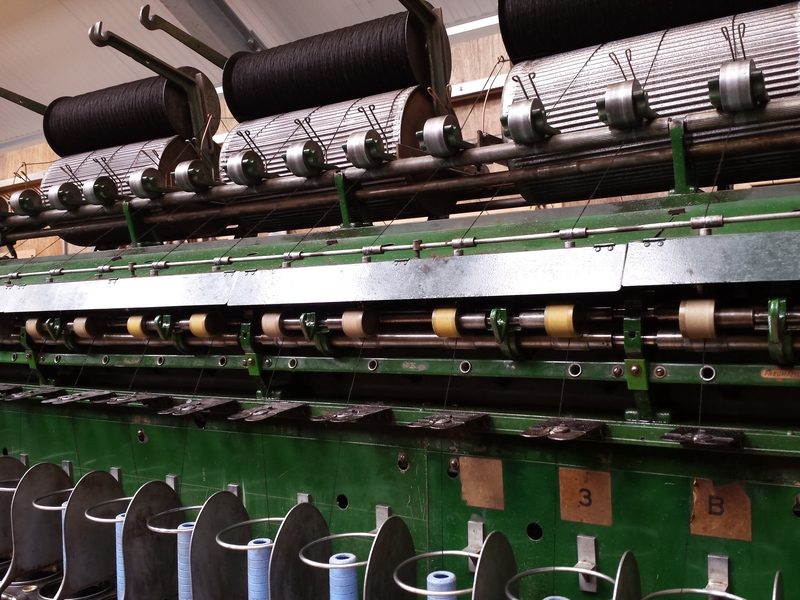 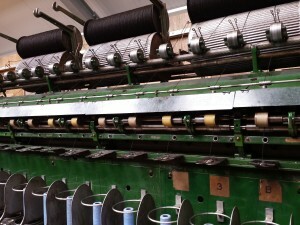 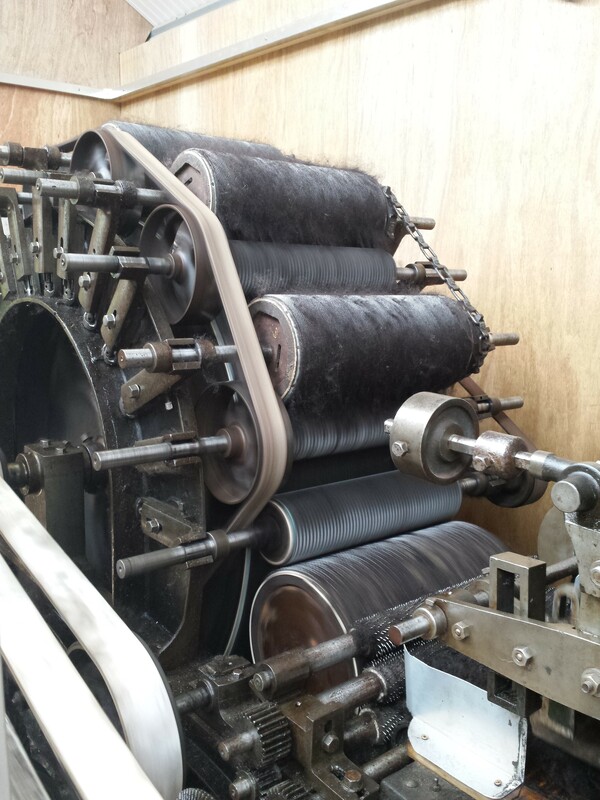 At this stage, there is very little strength in the wool and the beams are then put onto a spinning frame which puts the twist and strength into the yarn. After spinning, you end up with a nice bobbin of undyed Hebridean yarn! I will hopefully be receiving yarn from them in the coming week and I’m very much looking forward to warping and weaving it!